We're a co-working space with on-site childcare that allows business owners the office space and professionalism they crave. Located in Columbia, MO. 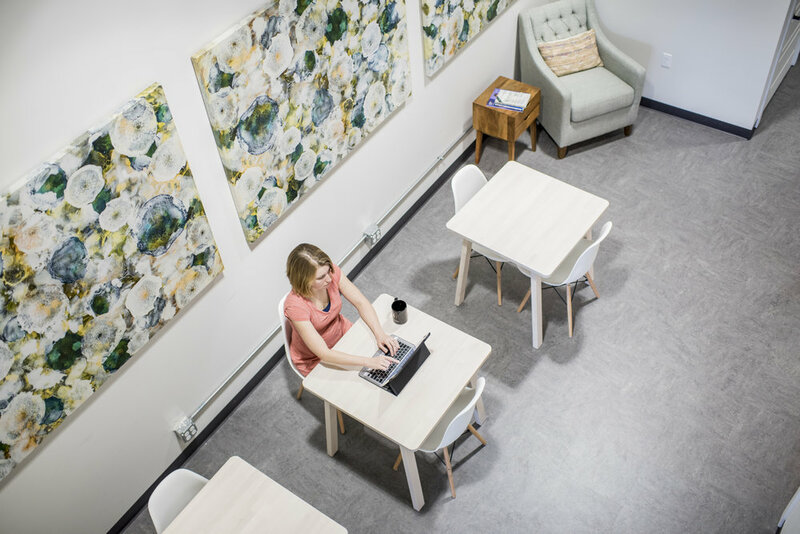 At The Hatchery, you'll find a one-of-a-kind coworking space that allows you to escape to a calm, collected office environment – all while providing you with a network of like-minded people who can help you reach your next big goal. Think all of the good things about having coworkers, just minus the watercooler gossip! When you join The Hatchery, you'll have access to our space at the time amount specified by your plan – just choose which coworking membership is best for your needs. Our coworking memberships are sold in monthly packages – just choose which package is right for your needs and sign up. You'll be able to pay month-to-month or get a 5% discount for signing up for a full year. Interested? Compare coworking memberships now.